What is an appropriate monument for the current city of Philadelphia? 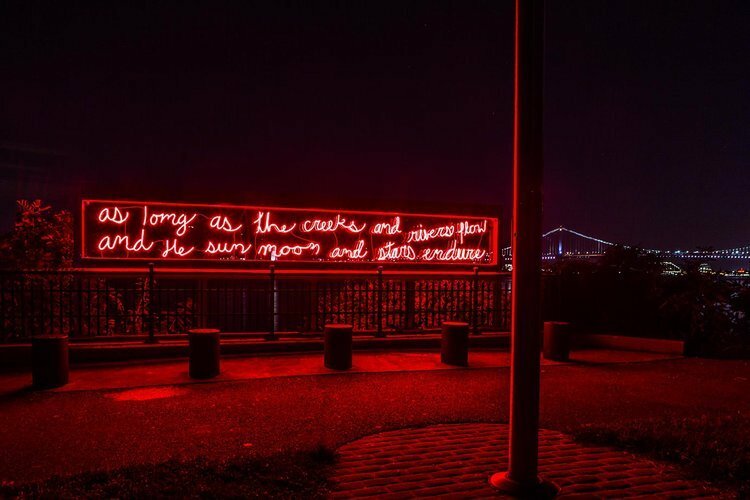 To reflect on this line of inquiry, Monument Lab – a team of scholars, artists, students, and researchers – staged a two-month citywide exhibition in Philadelphia this fall with Mural Arts Philadelphia. Situated in the midst of a massive public reckoning with monuments sweeping the U.S., Monument Lab’s curatorial team sought to "change the ways we write the history of our city together." Over 200,000 Philadelphians and visitors engaged with the project at twenty prototype monuments imagined by leading contemporary artists; ten adjacent learning labs in public squares and neighborhood parks throughout the city; and interactions with students at the labs, including those whose participation as researchers were a part of a Fine Arts "civic studio" course at Penn which merged work at the labs with engaged humanities methods and public art practices. In conversation with the Schuyllkill Corps research seminar, Monument Lab co-founder and PPEH Managing Director Paul Farber routes the exhibition's curatorial motivations and implications through the concept of "river monumentality," revisiting the ways Philadelphia’s foundational historical identity is mapped, managed, and reflexively revisited over time around living memory at and of its waterways. In his talk, Farber will examine several prototype monuments from the recent exhibition (including those by artists Tania Bruguera, Duane Linklater, Michelle Angela Ortiz, Klip Collective, and RAIR – Recycled Artist in Residency) and highlight river-minded examples of the public research proposals, to explore how they each respond and extend the existing monumental landscapes of the city.